12 Different Designs Iron-on Transfer Decals, you get 2 of each design. 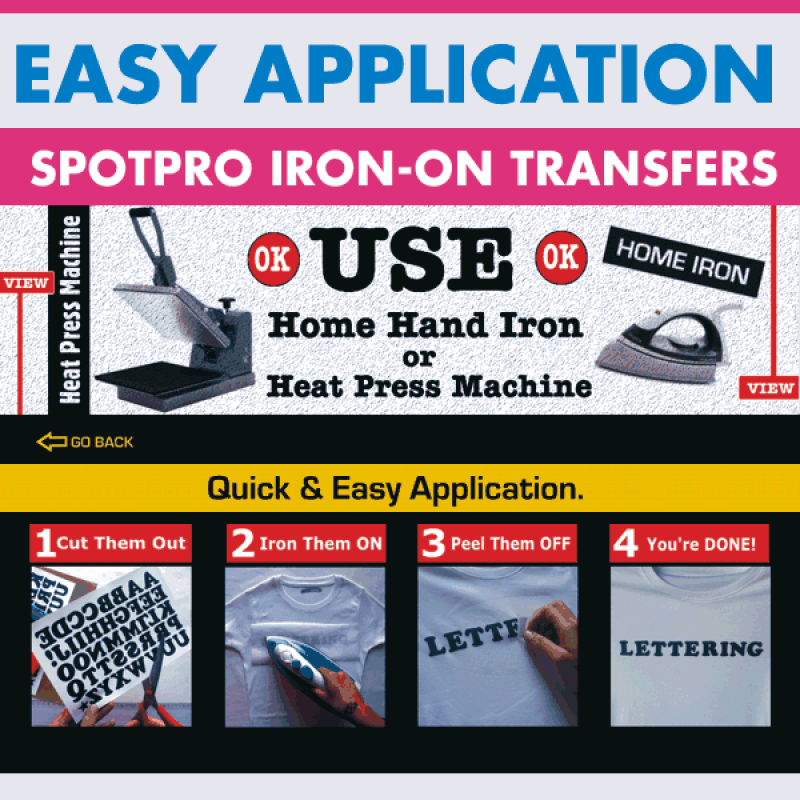 Ready to apply with Home Iron or Heat Press on your own clothing, NO Sewing required. Screen Print Iron-ons print on ALL Color Fabrics, work on Cotton, Poly, and Blends. Machine Wash. Ship next bus. day. 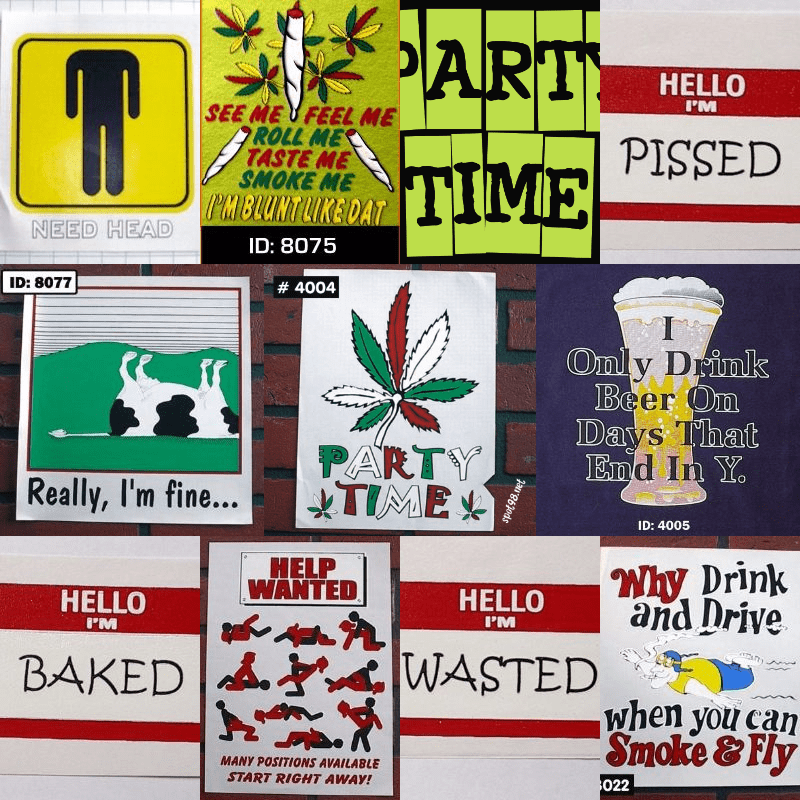 Product 24 Party Time Iron-on Decals Pack. Options 24 Pack Includes, various designs. Use For decorating clothing apparel, other textile items, craft projects. Color Choice Designer colors as is.